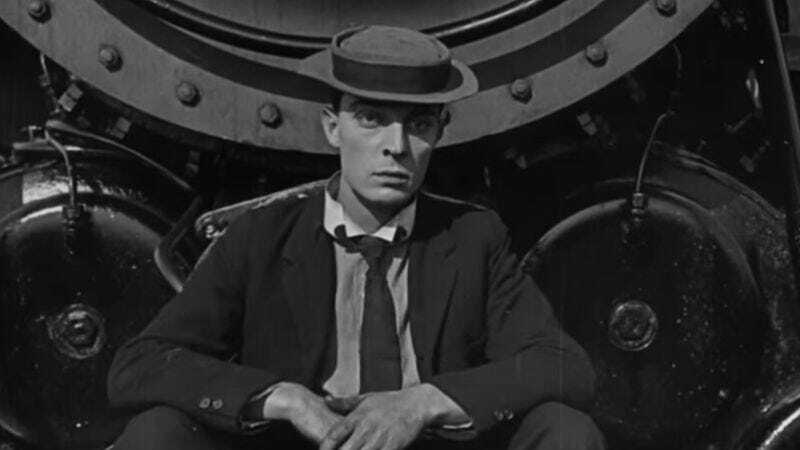 While he may not ever trend on Twitter or inspire thousands of Facebook posts with a speech from one of his films, Buster Keaton should be remembered and revered for his excellent and astounding work in film. Delivering gags and jokes that transcend their time and place and still work with modern audiences, Keaton was an impressive tour de force whose physical prowess remains awe-inspiring to this day. Furthermore, his comedy stylings have gone on to influence many a filmmaker and actor who look to the man for guidance on how to best deliver wry comedy with an absurd twist. In the latest installment of Every Frame A Painting, editor and film enthusiast Tony Zhou looks at Keaton’s work and uses various sequences from his filmography to show why he was the master at crafting and executing “the gag.” Combining impeccable timing, masterful framing, and an often flagrant disregard for his own safety, Keaton was able to successfully make complicated stunts look flawless and effortless and achieve beautiful compositions and hilarious moments that still inspire filmmakers. It’s a fascinating examination of how Keaton was able to pull off some of his gags and just how much work went into creating each one, as well as Keaton’s philosophies on comedy. It’s educational, but it’s also incredibly funny and shows the comic genius as the total badass he was, as opposed to being nothing more than an inspiration for Benny And Joon.